Two standard rear-facing seats which fold into a cargo-deck means you can either bring more company or more gear to your outing. Whether it’s buddies or equipment for boating or an adventure of another sort, the TRACKER LX4 will make it easier to get you where you want to go. 23 in. 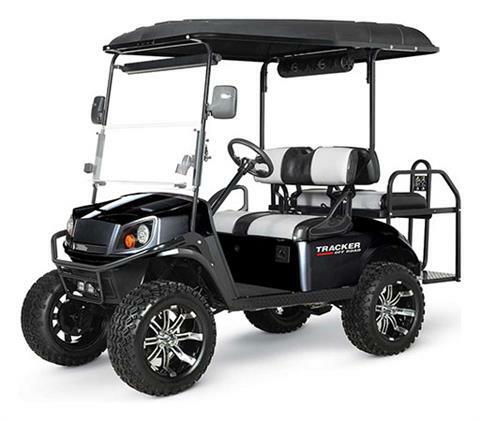 all-terrain tires, front brush guard, fold-down cargo deck, headlights, horn, cup holders, dashboard storage pockets, premium steering wheel, fuel gauge, low oil indicator, canopy top, split windshield and strut kit.